Sky will embark on a full launch of its mobile phone service in the new year as it looks to go toe to toe with BT in the media and telecoms market. The Game Of Thrones broadcaster said it will begin offering Sky Mobile to existing customers through a "gated sale", before widening the service to the rest of the market in early 2017. Sky customers can begin registering an interest in the service from October 31, the company announced at an investor day. It comes after Sky revealed in January last year that it would break into the mobile phone market through a partnership with O2 operator Telefonica. Stephen van Rooyen, Sky's UK and Ireland chief executive, said it "long had its eyes on the prize" when it came to the mobile phone market. "There are literally millions of customers for us to go after. We know that our customers are not only interested in Sky Mobile, but once they have been shown the proposition, they would consider switching to Sky." Mr van Rooyen remained tight-lipped about the tariffs and bundle services that Sky Mobile would offer, but said it would reveal pricing after the pre-registration process at the end of October. The move pitches Sky alongside BT, TalkTalk and Virgin Media as a company offering "quad play" services of fixed-lined telephones, television services, broadband and access to a mobile phone network. 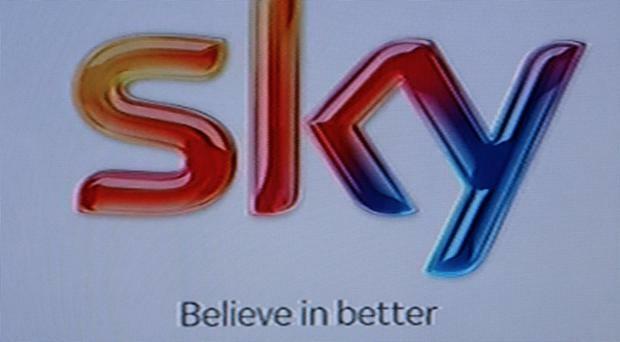 Shares in Sky were down more than 2% on the London Stock Exchange. Sky revealed last week that sales rose in the first quarter, despite a drop-off in advertising linked to rivals cashing in on the Euro 2016 football championships. The group said like-for-like sales rose 5% in the period, driven by growth in Germany and Austria. UK revenues grew 5% to £2.1 billion and group sales were up 7% to £3.1 billion on a constant currency basis. BT sealed a £12.5 billion mega-merger with EE earlier this year, creating the UK's biggest telecoms company.